Throughout her career, Janet has participated in several activities of the organized bar. For many years she was a member of the Family Law Bench Bar Committee of the Johnson County Bar Association. She also served as President of the Johnson County Bar Family Law Section. She is an active member of the International Academy of Collaborative Professionals, as well as the Johnson County, Kansas, Missouri and American Bar Associations. 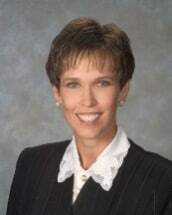 Janet was formerly as Associate in the Kansas Inn of Court and most recently a Barrister of the Earl E. O'Conner Inn of Court.